At Google’s October 4 event, where they announced the Pixel 2 and Pixel 2 XL, the company took a jab at Apple’s approach to launching phones when it said that you’ll get “the same great experience on both” because they “don’t set aside better features for the larger device.” We all chuckled because small or large, you shouldn’t ever have to compromise when choosing a flagship phone. And this is something that Samsung has done over the past couple of years as well with the launch of the Galaxy S7 and Galaxy S8. Whether you went small or + version, you got the same experience, outside of the difference in display and battery sizes. 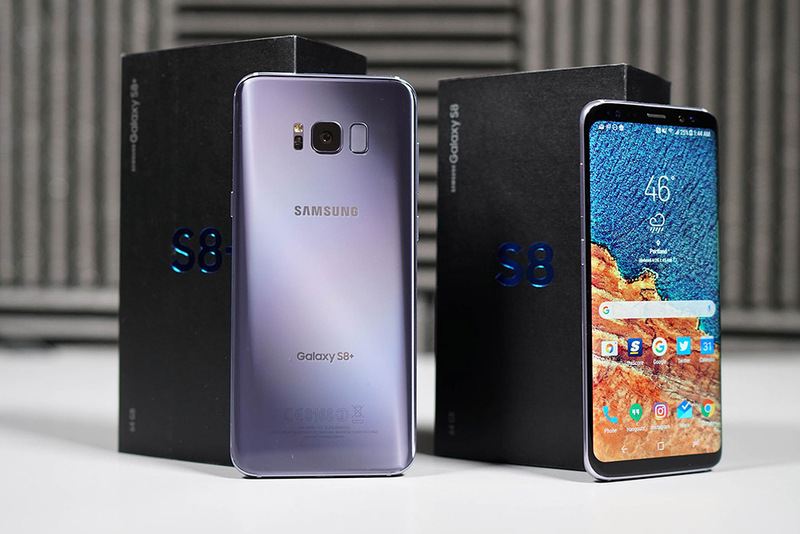 According to a Venturebeat report this afternoon, that may not be the case when Samsung ships the Galaxy S9 and Galaxy S9+ next year. Today’s report mentions that the Galaxy S9 (SM-G960) and Galaxy S9+ (SM-G965) will be very similar in style and feature set to the Galaxy S8 line you already know. You could think of the S9 to the S8 as the S7 was to the S6. We’re supposedly getting 5.8-inch (S9) and 6.2-inch (S9+) curved-edge Infinity displays again, along with 10nm processors (likely the Snapdragon 845 in the US), 64GB storage, and 3.5mm headphone jacks. But there will be differences outside of size. Venturebeat says to expect more RAM in the S9+, as well as a dual-camera setup on the rear. That could mean 4GB RAM and a single rear shooter in the Galaxy S9, followed by 6GB RAM and a dual rear camera on the Galaxy S9+. Is that the worst news in the world that is deserving of a boycott over Samsung? Well, no. But it’s a sh*tty move on their part if it happens. Some of us like smaller phones and we also might want the extra boost in RAM and flexibility of a secondary camera. That’s why Google made a specific mention of it on-stage, because we shouldn’t have to compromise that much just because we aren’t into whales. Either way, we’ve got more. Venturebeat reports that the Galaxy S9 line will feature AKG stereo speakers (! ), a centered rear-fingerprint sensor (!!) situated under a vertically aligned camera and flash, and a new DeX dock that allows the phone to lay flat and act as a touchpad or virtual keyboard when in use. Finally, today’s report suggests that the Galaxy S9 and S9+ will be announced in March, but that they may be teased at CES in early January. Look, I’m not saying that that won’t happen, it’s just that every year we get a rumor around CES and the next Galaxy, yet I don’t know that Samsung has ever mentioned a new Galaxy phone at CES. I guess we’ll know here in just over a month.